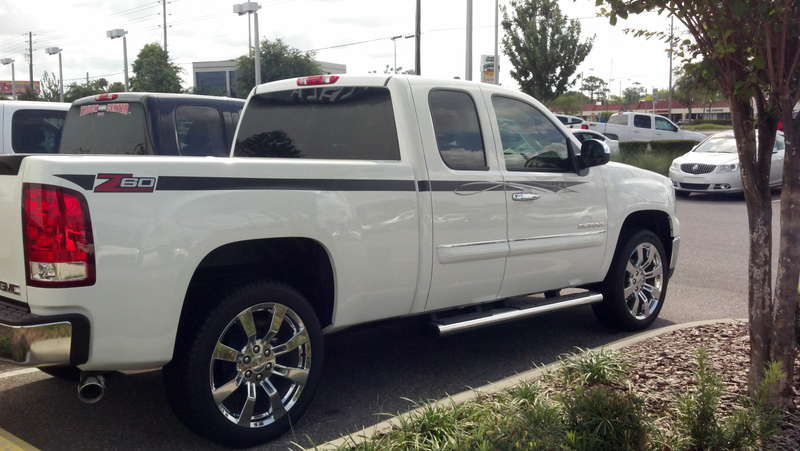 IllusionsGFX has been providing auto dealerships with custom graphics and accessories for over 25 years. This history has allowed us to develop many long-term relationships and a product line that best enhances a car’s appearance and its buyers appeal. Our goal is to compliment your sale. IllusionsGFX serves more than 60 dealerships statewide. We have developed these long-term relationships by providing a service that is founded on our experience and expertise. Each one of our professional installers averages over 7 years of proficiency in after-market installations. We would appreciate your business and an opportunity to apply our value, quality and timeliness to your custom graphics and accessory needs. Some service provider’s promise the world and can’t deliver while we let our actions and our results speak for themselves. IllusionsGFX offers a variety of cost-effective packages that can meet your budget and enhance the sale of your auto inventory. For example, a pinstripe and a color-keyed door edge guard can add over $400 of profit to any car sold. For the dealer that wishes to achieve a more elaborate look, grills, door handles, window tint, vinyl graphics and other items are available to accentuate the look of the vehicles. Many custom options are available. Contact us for more information.